Very good in very good dust jacket. 384 p. Audience: General/trade. Very Good. Paper over boards. 384 p. Tells the story of how George Washington, Thomas Jefferson, John Adams and James Madison's passion for nature, plants, agriculture and gardens shaped the birth of America. This title shows that it is impossible to understand these visionary men and the American nation without considering their love of gardening. Very Good. B-format paperback. 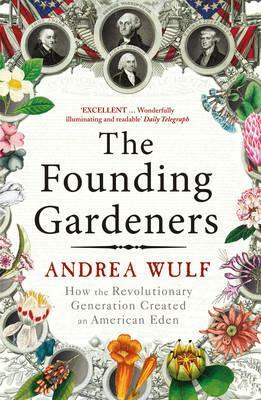 384 p. A follow-up to Andrea Wulf's award-winning and critically acclaimed history of British gardening, this is the story of how George Washington, Thomas Jefferson, John Adams and James Madison's passion for nature, plants, agriculture and gardens shaped the birth of America. New. B-format paperback. 384 p.
Very Good ++ 7 3/4 " Tall By 5" Wide. 372 pages. B&W plates and drawings. Mainly white/pale grey background covers. Light wear to covers' corners and edges. Page-edges ymoderately yellowed o/w pages very clean and tidy.